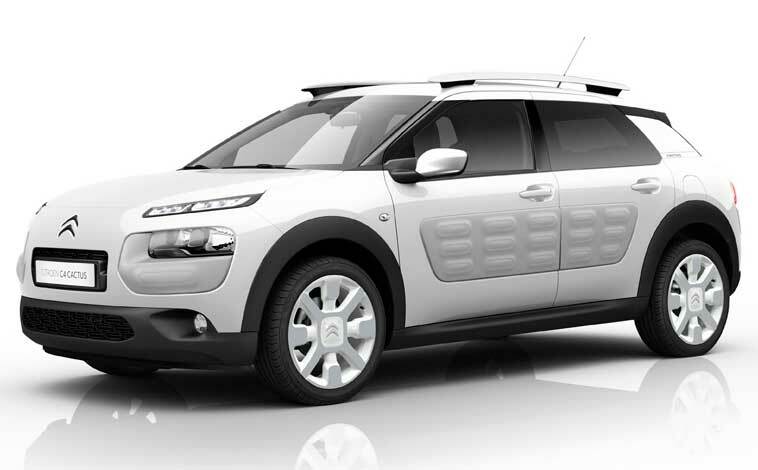 The stylish C4 Cactus introduced a new concept to the world of motoring – Airbumps. Practical, funky and stylish this car is spacious and packed with techno treats yet still carries a tempting asking price. And the recent facelift saw the emphasis switch towards comfort with some world class technology. 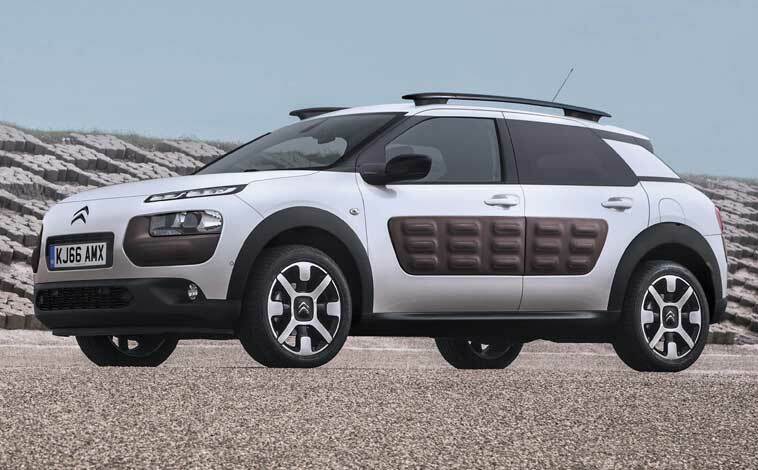 Citroen has a well earned reputation for developing cars that stand out from the crowd and when they launched the C4 Cactus, with its quirky Airbumps along the side, it was a clear indication that the company’s vivid design creativity was still thriving. 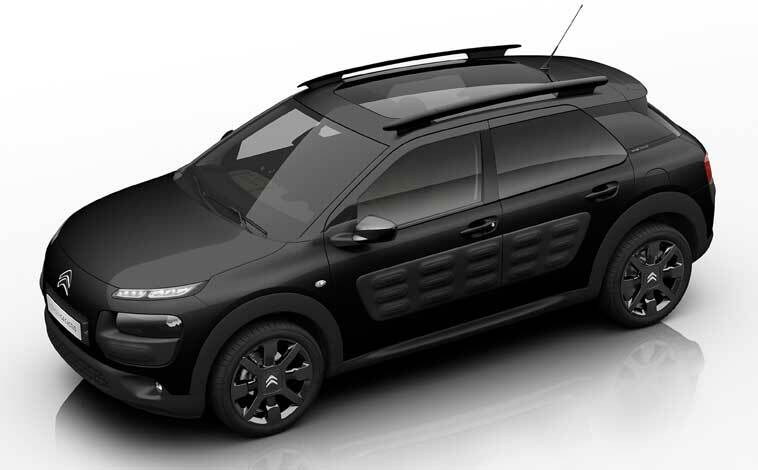 That model hit the showrooms back in 2014 and, then more recently, the C4 Cactus underwent quite a revamp. As a result, the Airbumps are more discreet and the emphasis these days has shifted towards practicality and comfort. Even with the more subtle Airbumps that are positioned along the bottom of the doors to offer protection from knocks and scratches, the latest C4 Cactus is quite the looker and features new eye-catching light signatures with slender LED daytime running lights. There are 3D-effect rear lights, wider air intakes, 17-inch alloys, gloss black pillars and spoiler supports plus dark tinted rear windows. The interior is fun, funky and very upmarket and with techno treats galore at your disposal. For example, there is MirrorScreen with Apple CarPlay for smartphone connectivity, Bluetooth handsfree with media streaming system, sat nav, a seven-inch touchscreen, DAB radio, and plenty more besides. There is a snazzy luggage theme to the interior design with faux leather straps on the glovebox and door handles, along with lots of soft touch surfaces that help raise the quality stakes. The beautifully designed two-tone cloth seats are wonderfully comfortable and offer all the support necessary. And the latest C4 Cactus model boasts Advanced Comfort Seats made from high density foam with additional lumbar support. In addition, the rather clever Progressive Hydraulic Cushion suspension helps to deliver the ‘magic carpet ride’ of Citroens from bygone days. This is particularly noticeable when you hit a small pothole or when driving along damaged roads with the system really smoothing out the ride. No need for a chiropractor on speed-dial when you’re driving this car then! I am almost three months into a six-month loan of the C4 Cactus powered by a punchy, yet ultra-efficient 1.5-litre 101hp diesel engine matched to a six-speed manual gearbox. Priced at £21,950, which includes £495 for metallic paint, it can sprint to 62mph from a standing start in 10.0 seconds, tops out at 118mph and, according to official figures, can deliver combined fuel economy of 70.6mpg with carbon emissions of just 97g/km. Having already clocked up more than 3,000 miles in the vehicle, which has included some lengthy 500-mile round trips to Cornwall and Dorset from South Wales, I can honestly say the C4 Cactus has lived up to its big build-up. Out on the open road, the acceleration through the gears is beautifully smooth and there is always ample power on tap to overtake slower moving vehicles. Motorway driving is a breeze as the C4 Cactus effortlessly eats up the miles and the excellent all-round driver visibility, along with its nimble handling, make the car easy to manoeuvre in busy town centres too. Comfort levels on long trips are excellent and there’s ample space in the back for a couple of passengers, along with all their luggage requirements. The boot has a capacity that ranges from 358 litres to 1,170 litres with the 60:40 split folding rear seats dropped flat. In addition, there’s plenty of convenient storage compartments scattered throughout the vehicle, although the cup holders are disappointingly unpractical. They are far too shallow and a small water bottle or coffee cup would topple out if you cornered at a fairly moderate speed. That is my only gripe to date and I think I’m well on the way to discovering most of the attributes the C4 Cactus has to offer. And cup holders aside, there are so many plus points. For example, I’m averaging more than 60mpg, I still like the quirkiness of those Airbumps and the hinged rear windows. I’m impressed by the agility of the car and the ease in which it can be parked thanks to the reversing camera along with guidelines. I even like the Deep Purple colour that I thought would wear a bit thin after a while, but hasn’t. So, yes, lots to enjoy about the C4 Cactus and I look forward to my next few months behind the wheel. 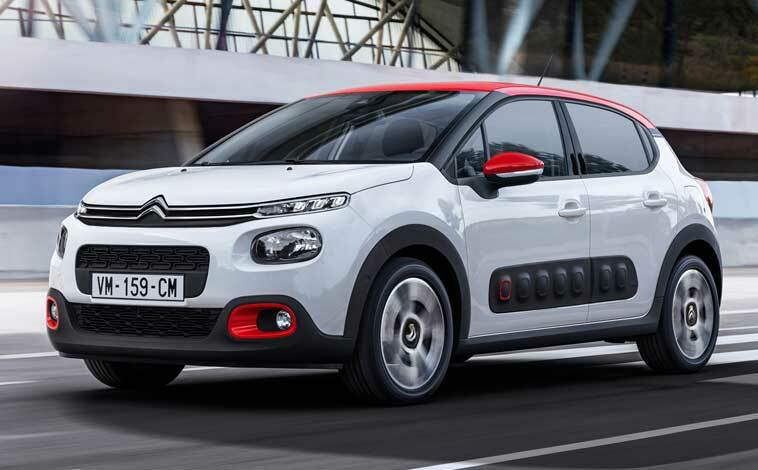 Citroen has never been a company that was backward in coming forward and that fact was reinforced when it launched its quirky C4 Cactus model back in 2014 complete with giant protective Airbumps along the sides of the car. Now, the five-door model has undergone a midlife refresh – the bumps are smaller and the emphasis these days is strictly geared towards comfort. There are some substantial styling changes, possibly most noticeable is the reduction in size of those Airbumps – they are now more discreet and positioned along the bottom of the doors so still offer some protection. The latest C4 Cactus also boasts new front light signatures with slender LED daytime running lights. There’s a refined headlight design complemented by gloss black inserts and colour detailing around the fog lights, plus wide air intakes, additional chrome trim and 3D-effect rear lights. 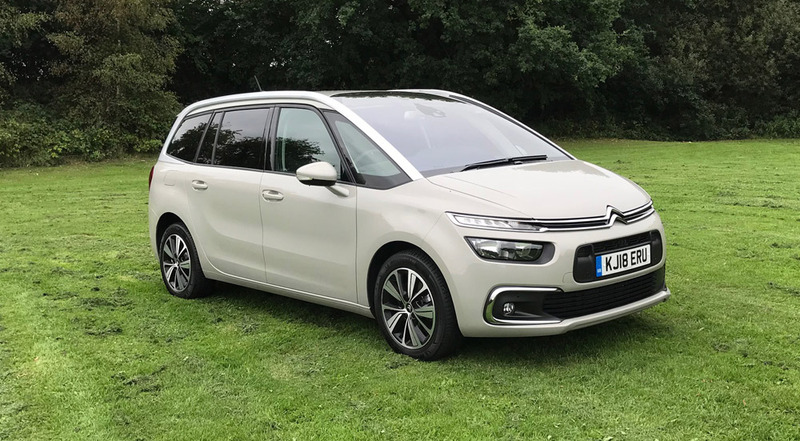 Citroen is quick to point out that this isn’t a gentle mid-life refresh with a few tweaks here and there and that 90 per cent of the exterior components are new. Moving inside, the interior is beautifully modern in its layout with a wealth of upmarket materials and soft-touch surfaces. One of the excellent new features are the Advanced Comfort Seats which have been developed using high density foam with extra lumbar adjustment on the driver’s side for the ultimate in comfort. But some design cues simply had to remain intact such as the luggage-inspired faux leather straps on the glovebox and door handles. Elsewhere, all models are generously equipped with the likes of a seven-inch touchscreen, sat nav, smartphone connectivity, DAB radio, a USB socket and plenty more besides. Prices for the C4 Cactus start from £17,265 and there are two core versions called Feel and Flair, although an entry level Feel Edition model is available at launch for a limited time. Powertrains come in the form of three 1.2-litre, three-cylinder PureTech petrol engines with power outputs of 82PS, 110PS and 130PS, or a 1.6-litre 100PS BlueHDi diesel engine. Transmissions are either five or six-speed manual or an EAT6 automatic gearbox. And for anyone who likes to stamp their own personal mark on a car, the C4 Cactus is available in the nine body colours, along with four body colour packs and four interior design choices. We tested a couple of models on a lengthy road route with plenty of city centre stop start traffic driving, sweeping country lanes and fast motorways – both models were up to the challenge. First up was the C4 Cactus in top-of-the-range Flair trim powered by a 130PS PureTech petrol engine mated to a six-speed manual gearbox. This car carried a £20,665 price-tag, although a few optional extras such as blind spot monitoring, front parking sensors, a smart access pack and metallic paint bumped the cost up to £21,710. It could reach 62mph from a standing start in 8.2 seconds, redlined at 120mph and, according to official figures, could deliver combined fuel economy of 58.9mpg with carbon emissions of 110g/km. We managed to see an average of 53.2mpg which is impressively close to the mark. 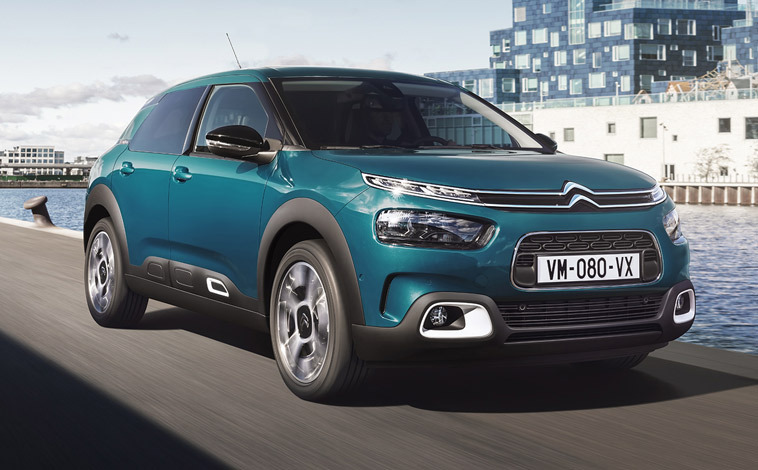 With the launch of the latest C4 Cactus, Citroen announced that it has focused its attentions on comfort rather than blistering performance capabilities and that is apparent with the introduction of its superb new suspension system with Progressive Hydraulic Cushions. It all sounds rather technical, but in a nutshell, it is far more effective than standard suspension set-ups and will iron out many unexpected bumps and dips along the way. You will still feel the odd pothole, but the severity of the impact is reduced considerably due to this technology. The driver benefits from excellent all-round visibility thanks to the elevated driving position and there is ample room in the back for a couple of adults to sit comfortably – three is achievable if you don’t mind rubbing shoulders. The test car was fitted with a fixed panoramic sunroof which reduced rear passenger head room a little but does help to create a bright cabin environment as a compromise. All controls and readouts are ideally positioned for ease of use and there is a smart digital readout that offers information such as fuel levels, lighting, mileage, cruise control and gear-shift prompts. On the downside, the over-complicated touchscreen makes supposedly simple actions such as reducing or increasing the temperature a ridiculously lengthy process when a couple of buttons would be far easier. Although the C4 Cactus isn’t really billed as a speedster’s model, it’s no slouch either and can happily cruise along at motorway speeds with ample power on tap from the punchy engine. And when it comes to those comfort seats, they are beautifully supportive and well worth all the publicity puff! Storage options are impressive too with a boot capacity ranging from 358 to 1,170 litres with the 60:40 split-folding rear seats dropped flat. Elsewhere, there are cup holders, non-slip trays, a central box and a good-sized glovebox. There are also hard plastic door pockets, but the front ones are too shallow and even a small water bottle can topple out. They are deeper and therefore more practical in the back. We also drove a diesel model mated to a five-speed manual gearbox, once again in Flair grade. It was priced at £20,895 (£22,175 with options) and could complete the 0-62mph sprint in 10.7 seconds, topped out at 114mph and delivered combined fuel economy of 76.3mpg with CO2 emissions of 96g/km. The diesel-driven model is slightly heavier and actually felt more grounded in its handling. It is a little grumblier acoustics-wise, but felt responsive and lively out on the open road where it was exceptionally sure-footed when pushed hard into tight bends with little sign of any body sway. We fell a little short of the official fuel figure recording just over 60mpg, but in fairness the car was driven fairly hard. 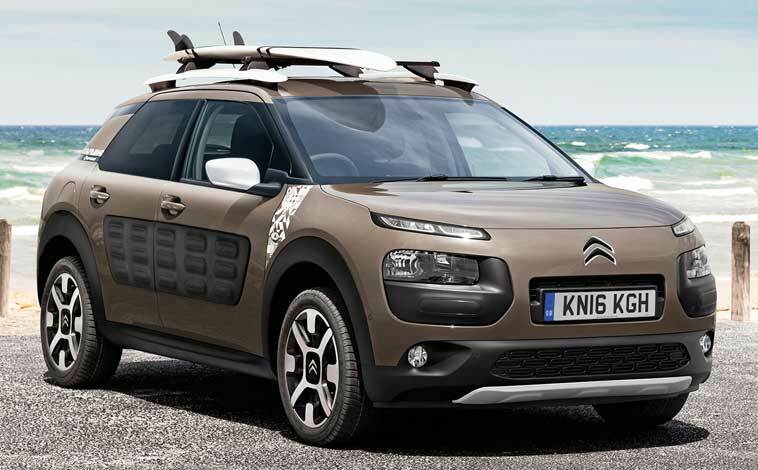 The C4 Cactus is kitted out with raft of safety features and driver aids. Depending on trim level, it features the likes of active city break, blind spot monitoring, speed limit recognition and recommendation, lane departure warning, coffee break alert, driver fatigue warning and plenty more besides. All in all, the new C4 Cactus has certainly moved upmarket. It may not look quite so distinctive as the original car with its larger-than-life protective cladding, but it’s practical, stylish, economical, fun to drive, exceptionally comfortable and features some excellent new technology. And it still has those protective bumps, albeit toned down a little. 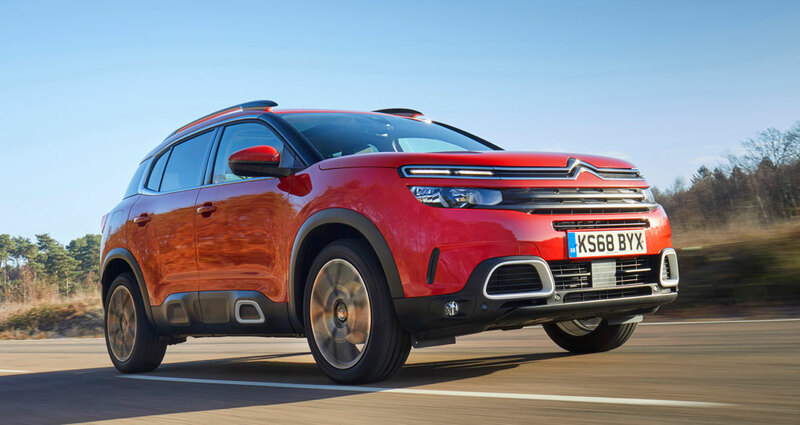 If you’re the type of motorist who likes to fit in with the crowd, go with the flow and not make too much of a statement then the Citroen C4 Cactus is probably not the car for you. If, however, you embrace modern and striking design concepts and like to convey this in the car you drive, then look no further. That’s because Citroen has maintained its tradition of thinking outside the box and developing cars that are a little out of the ordinary. And that’s the case with the C4 Cactus which boasts stand-out Airbumps that are guaranteed to attract attention. In addition, there are the pop-out rear windows that are quirky but also practical as they are weight-saving and therefore fuel-saving in the process. The test car featured bright red paintwork which contrasted magnificently with the black Airbumps and 17-inch black alloys. And that dark theme continued with tinted glass, black pillars, plus black roof rails and side mirrors. I’ve mentioned Airbumps twice and for anyone not familiar with them, they are thermoplastic polyurethane panels that have been fitted to the sides of the car. They took three years to develop and Citroen took out nine patents along the way. The rigorous testing proved the bumps could withstand quite a battering so the likes of shopping trolleys or car doors banging into the side of the Cactus will not have any impact whatsoever. Move inside the car and the interior is beautifully laid out with lots of on-board technology to be explored, especially in the Flair edition which was priced at £17,720 (increased to £20,720 with options fitted). Creature comforts included a touchscreen infotainment system with a six-speaker sound system, sat nav, Bluetooth connectivity, media streaming, automatic air conditioning, a city park pack that will help find a parking space and park the car for you and lots more besides. The C4 Cactus was powered by a three-cylinder, 1.2-litre 110bhp petrol engine mated to a six-speed automatic gearbox. It could reach 62mph from a standing start in 9.7 seconds, maxed out at 117mph and, according to official figures, returns combined fuel economy of 61.4mpg with carbon emissions of 106g/km. From the second you take your seat inside the Cactus it’s difficult not to be impressed by the spacious, bright and clutter-free interior. There is a driver-focused cabin with instrumentation ideally positioned for usability. My only real gripe was the lack of steering wheel adjustment. You can move the seat up and down, back and forth, but a little more flexibility in the steering wheel would have been appreciated. But that aside, the Cactus proved an absolute delight to drive. It whizzed through the city traffic with ease and the driver benefits from excellent all-round visibility which is handy when cars and pedestrians are darting out from all angles. Then on the open road, there was ample power on tap to keep pace with fast-moving motorway traffic. The gear shifts were smooth and responsive and the cabin remained fairly well insulated against the outside noise. The road-holding was decent for a small SUV with minimal body roll into corners and the soft suspension irons out most of the road bumps and dips. It can be a little bouncy on uneven surfaces, but that was partly down to the 17-inch wheels on the test car. It is available with smaller 15 or 16-inch wheels which would be more comfortable in the long run. On a practicality front, the five-door Cactus is also well designed with plenty of room for four adults to travel comfortably – a fifth can be squeezed in for shorter journeys. And storage options are impressive too with a boot capacity of 358 litres, which can be increased to 1,170 litres with the rear seats dropped flat. All in all, the C4 Cactus is a fabulous car. It looks snazzy, it is practical, comfortable, packed with technology and safety features and it even has an attractive price-tag making it quite the all-rounder. 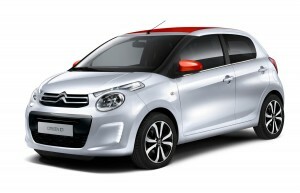 It never comes as any great surprise when Citroen introduces a new car that is packed with quirky design features – it’s something the company has built a reputation on over the decades. And the new C4 Cactus is a reminder that the company is not afraid to tread new ground and introduce innovating technology along the way. With its concept car looks, crossover styling cues, floating roof and even that familiar shark fin detailing at the tail end if you look closely, the C4 Cactus is guaranteed to turn heads, but the truly stand-out feature has to be the Airbumps. It’s a fact – there is nothing as annoying as parking at a supermarket with plenty of room to spare and then returning to your car to find some thoughtless driver has slammed their car door open into the side of your vehicle. Or even returning to find a shopping trolley abandoned right next to your car. 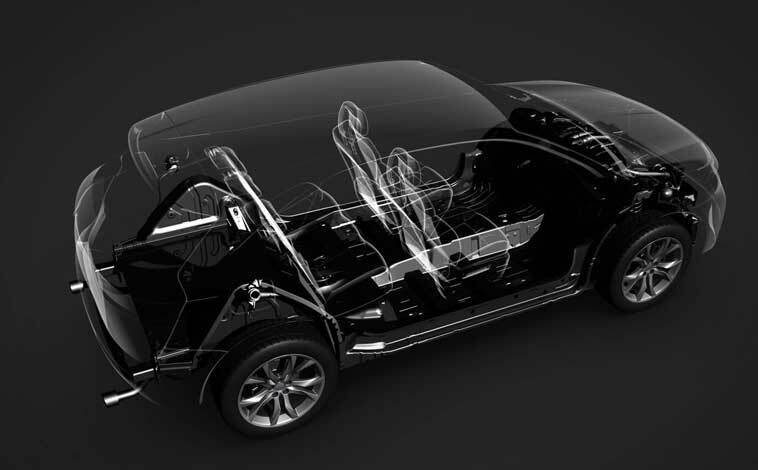 Well, those concerns are a thing of the past with the C4 Cactus because it is fitted with reinforced thermoplastic polyurethane panels to protect the side of the car. It’s a world first, took three years to develop and nine patents were taken out during its production. These protective shields can cope with a constant stream of battering – Citroen made sure of that during a rigorous testing phase. The Cactus, priced from £13,000 to just over £18,000 is available in three richly-equipped trim levels – Touch, Feel and Flair – and with a choice of four petrol and two diesel engines. There is a five-speed manual version or six-speed semi-automatic Efficient Tronic Gearbox (ETG). In a bid to maximise fuel efficiency and lower running costs, the Cactus weighs 200kg less than a standard C4. This has been achieved by introducing a number of measures. 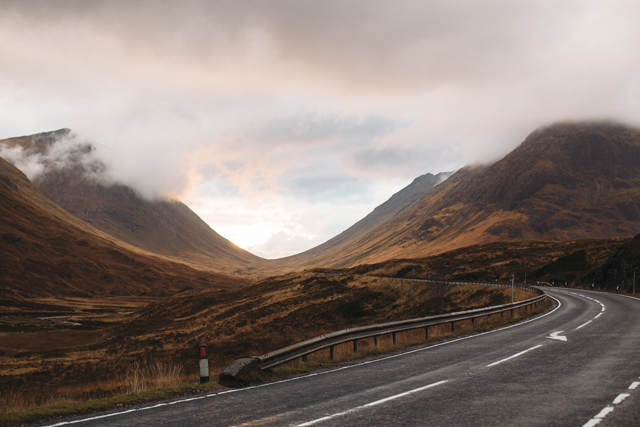 For example, the panoramic sunroof features a state-of-the-art coating equivalent to category 4 sunglasses to filter UV light and reflect heat – this means there is no need for a sun blind. The Magic Wash system sees water being sprayed directly from the wiper blades so less liquid is needed – this results in a smaller water container. It is thanks to these weight-saving innovations along the way that one model – the 1.6-litre BlueHDi diesel with start/stop technology – offers up to 91.1mpg on a combined run with carbon emissions from just 82g/km. The Cactus interior is simplistic, but anything but basic, with a stylish travel theme running throughout. For example, the door handles are replaced with leather straps and the top of the dashboard also features luggage-inspired markings. There is a very large open-top storage compartment in the dashboard where the passenger airbag would traditionally be housed – this has been moved to roof area – another first on a car. Despite its clutter-free layout there is plenty of technology to be explored and most features such as the air conditioning, sat nav, car settings and music can be accessed via an easy-to-operate 7-inch colour touchscreen. 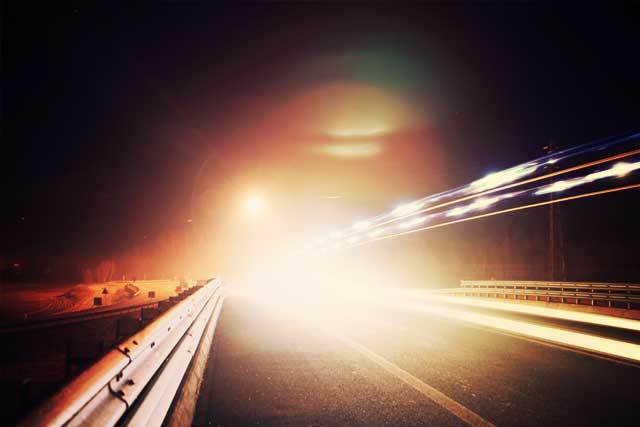 All smartphone functions can be connected within seconds too which is an absolute “must” on modern-day cars. And there is a digital instrument cluster behind the steering wheel offering information on speed and fuel levels etc. 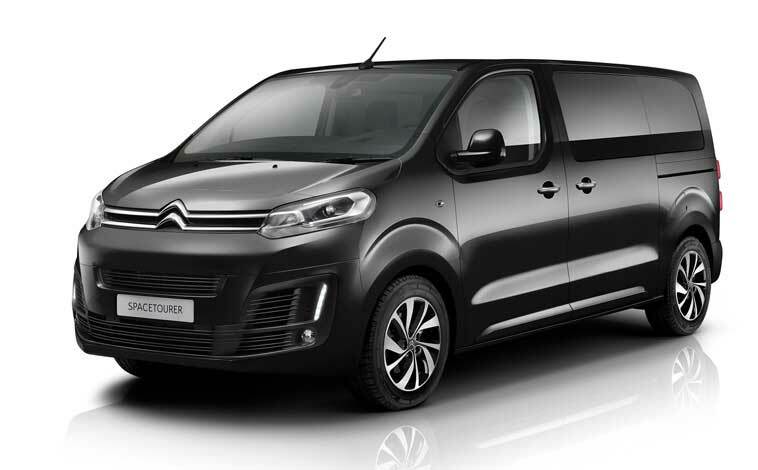 The spacious interior can easily accommodate four adults – five at a bit of a squeeze – and the boot has a 358 litres capacity which is increased to 1,170 litres with the rear seats folded. However, folding the rear bench seat forward does take some working out – you need long arms and quite a bit of muscle power. Another unusual, yet clever feature can be found on the semi-automatic ETG version. In order to save space up front the more traditional gear shift lever is replaced with three buttons – drive, neutral and reverse. And if you fancy taking control there are steering wheel-mounted paddle shifts. 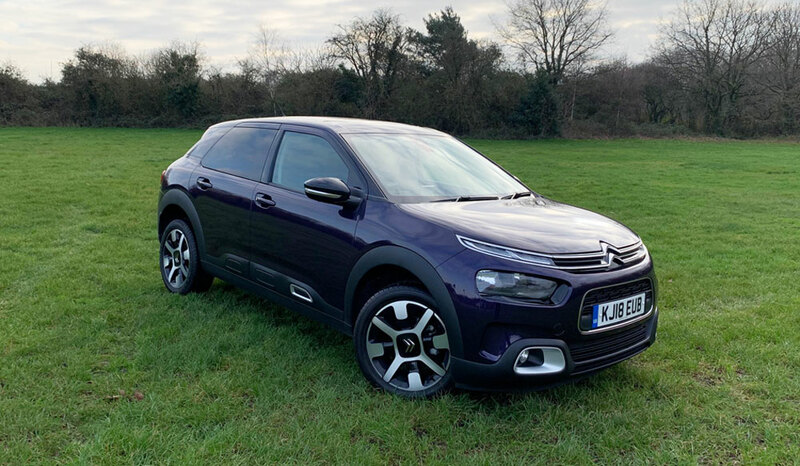 We had the opportunity to drive the C4 Cactus in the mid-range Feel spec which Citroen believes will be the most popular with buyers when the Cactus goes on sale in October. The car is incredibly spacious, rides beautifully and is an absolute pleasure to drive. It’s easy to manoeuvre with a great turning circle, the all-round visibility is excellent and the on-board technology is very easy to access. The Cactus has a solid and grounded feel to it and bends can be attacked with confidence. We drove both the petrol manual and the diesel ETG models and they were equally impressive with smooth gear changes and plenty of acceleration in and around town and out on the faster roads and motorways. Admittedly, it’s not the most dynamic car on our roads today but in fairness to Citroen, the C4 Cactus was not been designed with heavy-footed petrol heads in mind. In and around Amsterdam, cyclists couldn’t take their eyes off the car – mainly because of that Airbump technology and the contrasting range of colours that can be paired up making for a stand-out vehicle with plenty of character and charisma. And Citroen has confirmed that the protective mouldings will be very durable and buyers will also be able to change the colour shades at a main dealer further down the line. All in all, the C4 Cactus is another fine example of Citroen thinking outside the box but combining practicality, economy, appeal and affordability in the process. Hopefully it won’t be too much for an oh-too-often conservative marketplace to take on board.